It mediates and stimulates contact between artists and the public. 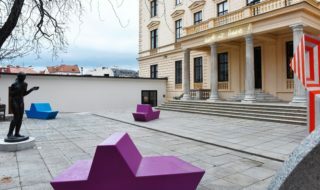 Traditionally, the Brno House of Arts has been one of the most significant forces in the culture of Brno, with the vision of becoming a dynamic space connected to a network of other prestigious European galleries. As a cultural institution, the House of Arts comprises two exhibition buildings and three gallery spaces. 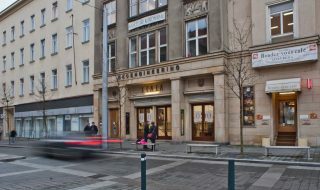 The House of Arts at Malinovského náměstí (Malinovsky Square) was originally designed as an Art Nouveau building (Kaiser Franz-Josefs-Jubiläums Künstlerhaus), then rebuilt in the functionalist style in 1946–1947 using plans by architect Bohuslav Fuchs. In 2009, it underwent extensive reconstruction based on a design by architect Petr Hrůša. Dům pánů z Kunštátu (the House of the Lords of Kunštát) is a Renaissance building located in Dominikánská Street which has been a part of the Brno House of Arts since 1958. It also houses Galerie G99 and the art café Trojka. Since 2000, Galerie G99 has been an independent part of the House of Arts, presenting the activities of younger artists. 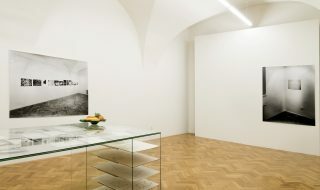 Until March 2003, Galerie G99 occupied a space in Benešova Street. Currently, it is located on the ground floor of the House of the Lords of Kunštát. Tell your friends about Brno House of Arts! The galleries focus on the presentation of contemporary art.